Also, cyber Monday is December 1: Canton Village Quilt Works will have all batiks and Kaffe Fassett fabrics 25% off. I am particularly partial to the Aboriginal Dots! absolute perfect stash basic. No coupon code needed. 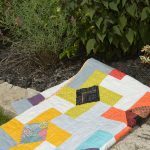 My Color Girl quilting patterns are on sale this weekend, too. 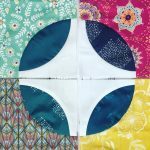 Use coupon code “colorful” to get patterns for $5 each. Big thanks to all who have purchased and used my patterns. I so love designing quilts and I hope you enjoy making them, too. This coming month, I want to work on, and maybe finish, some “quilts in progress”. First on the list is my Aviatrix medallion….I only managed to get started on the center star in November. 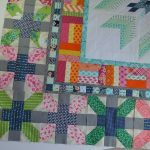 I am really loving how those bird diamond blocks are looking in the bright prints! I will also be continuing my super simple sampler series: eight six inch blocks each month. 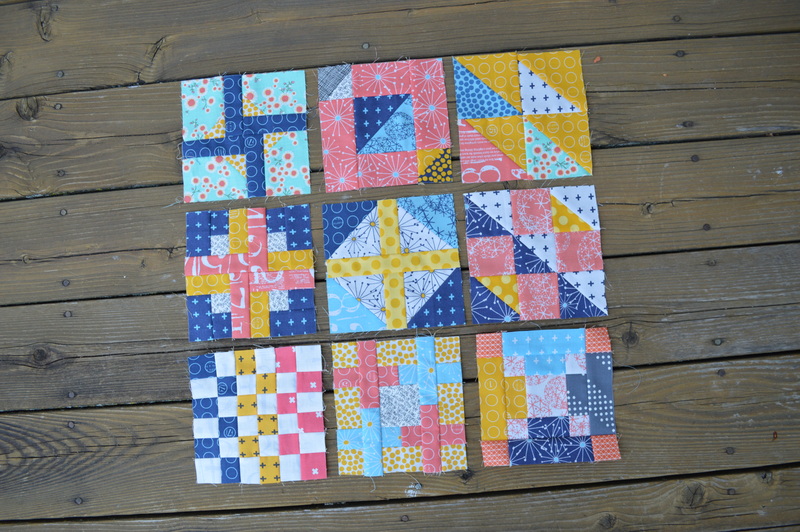 These are a fun little departure from larger projects and I think the colors and fabrics are so much fun. You can find tutorials for the blocks I have already made on This Page. I like your colour scheme in that star block. I spot some Color Me Happy! 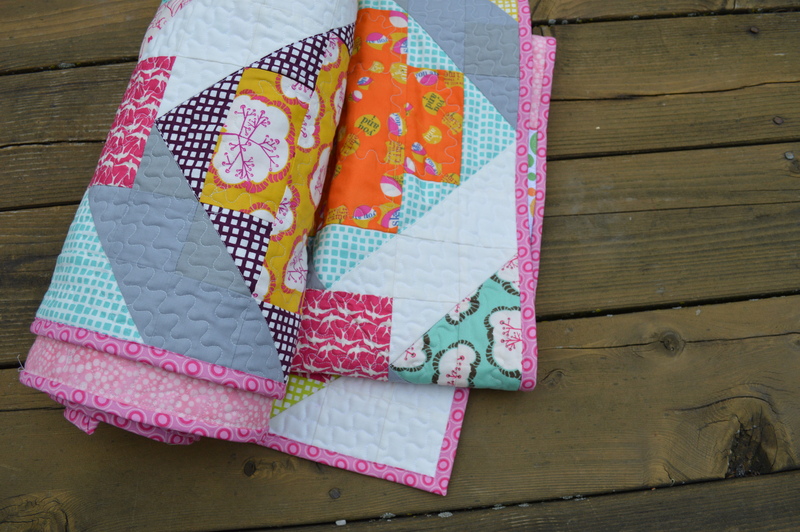 I used some of the same prints in the last quilt I designed. It’s nice to finish up some quilts in progress and make room for new ideas. 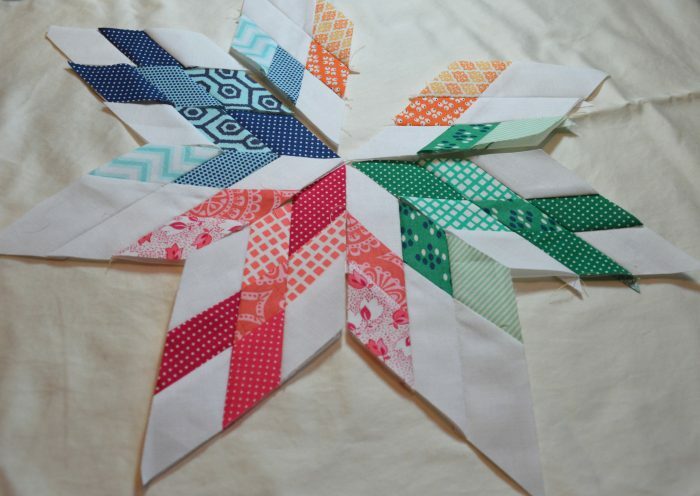 Where can I buy the pattern for this star. I’ve botched more than one of these!! !